Geckos can walk along walls and upside down on horizontal surfaces. Their feet adhere to nearly any surface and never lose their adhesive force even in case of repeated contact with dirty surfaces. Adhesion is due to the fact that the toes of many types of geckos have a lamellar structure and are covered by finest hairs. The hairs ensure adhesion, while the walking movement causes dirt particles to be removed. By reproducing the properties of a gecko&apos;s toes, self-cleaning adhesive strips could be produced. They might be applied for reclosable packagings or as an alternative to Velcro fasteners for clothing. Engineers might develop robots walking along ceilings and walls. KIT scientists of the Institute of Microstructure Technology (IMT) were inspired by nature: They developed a process for the production of self-cleaning surfaces, whose adhesive power exceeds that of existing materials, in particular on rough surfaces, such as concrete. 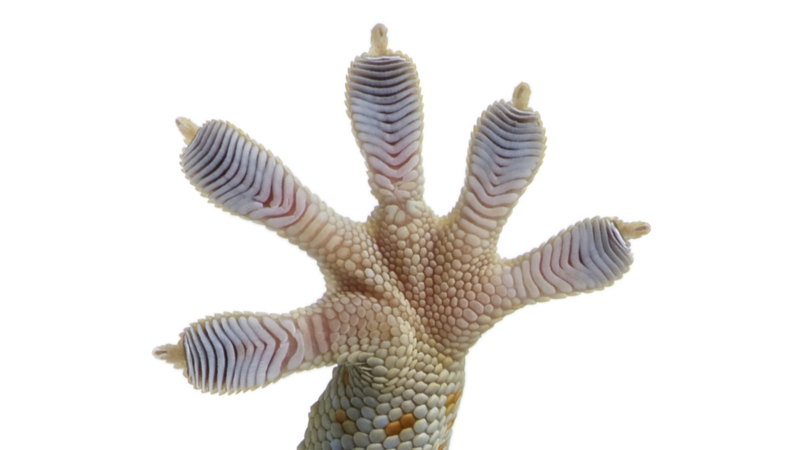 The hairs covering the gecko&apos;s toes have a hierarchical structure. Every hair is covered by even finer hairs, and these are covered by hairs of about 200 nm in thickness only. To produce such a microstructure with three hierarchy levels, several steps are required. First, a basic structure of narrow cylindrical columns is produced on a hard plastic foil by hot embossing. In the second step, hot embossing is performed using a mold that has to be adjusted precisely with the help of reference structures. On top of the basic columns, other finer columns are produced. This second hot embossing process causes the basic columns to melt a little. They assume an advantageous, mushroom-like shape. Hot drawing finally results in very fine filaments protruding from the surfaces of the columns of the second layer.